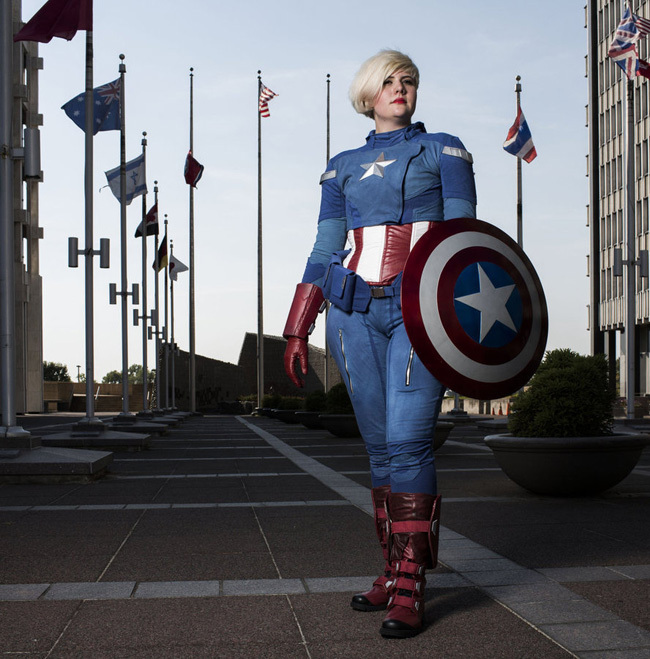 With Captain America: The Winter Soldier finally seeing its US release this week, we're betting the thing you're lacking is a sickly-sweet morphine drip of Cap-related cosplay to keep you stable while you wait to see the film. Consider your needs met, true believers. We've compiled a gallery for your enjoyment that showcases some exceptionally cool, sometimes really hot and, in a couple of cases, extremely silly takes on Steve Rogers. The cosplayers featured here are as different as night and day. But what they have in common, besides a thirst to defend America from threats foreign and domestic of course, is an eye for detail and a willingness to put in hard time to make their costumes perfect, and patriotic. Because freedom. Read on, and enjoy. And feel free to sound off in comments. We begin with some impressive work by cosplayer imatangelo. (The boots are a particularly nice touch). Creating this costume sounds like hell - it included her laboriously repurposing a corset for the middle section. You can read how she made this costume here. 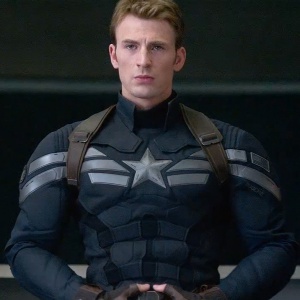 Next up, a surprisingly solemn version of Cap.